These hand-poured 5 oz. 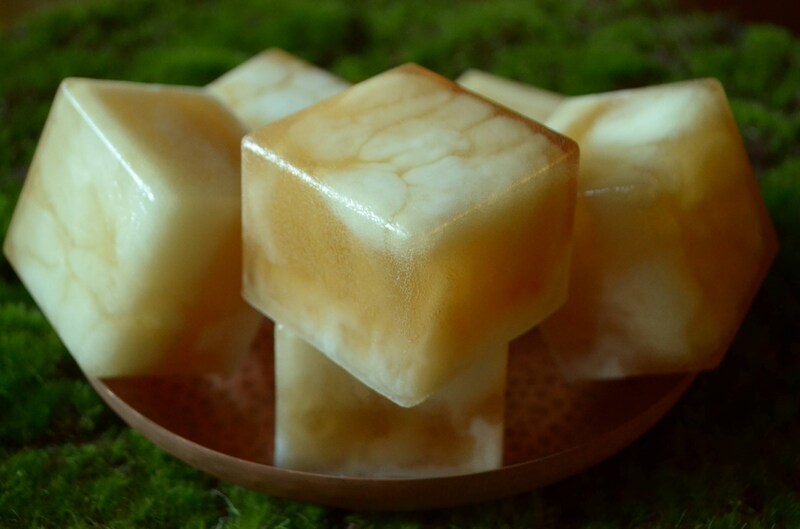 soaps sport a groovy marble pattern in a smooth cube. 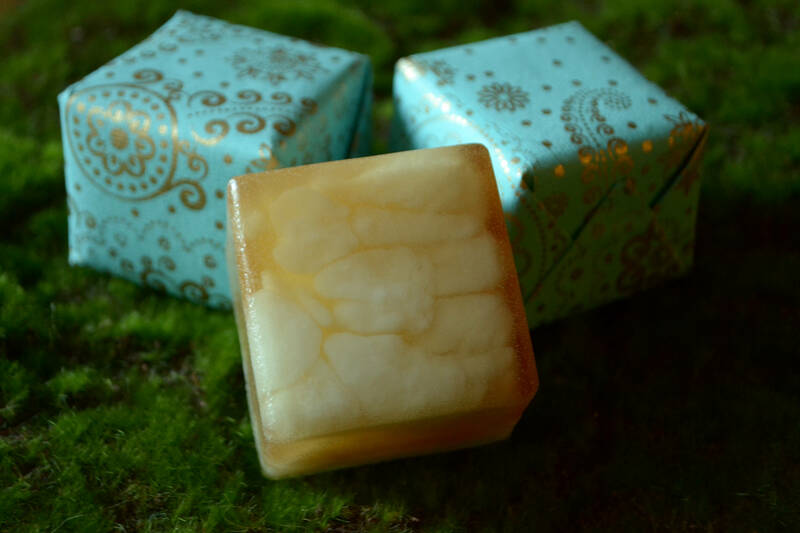 A skin-loving blend of honey soap and shea butter scented with earthy cedar and soothing vanilla. Each soap comes hand-wrapped in paper made from recycled fibers. A great gift for the dad, the mom, the groom or the bride. Bar size: 2.125" x 2.125" x 1.75"
This has a lovely scent. Thank you!